Eating well at COOK has always been about knowing a meal has been hand-prepared with care using great ingredients, just like we would at home. It then comes down to using our common sense to eat a balanced diet (based on the government’s Eatwell Plate). This means not feeling guilty about enjoying the occasional treat but also making sure some meals are much healthier. To provide enough choice for a balanced (and delicious!) 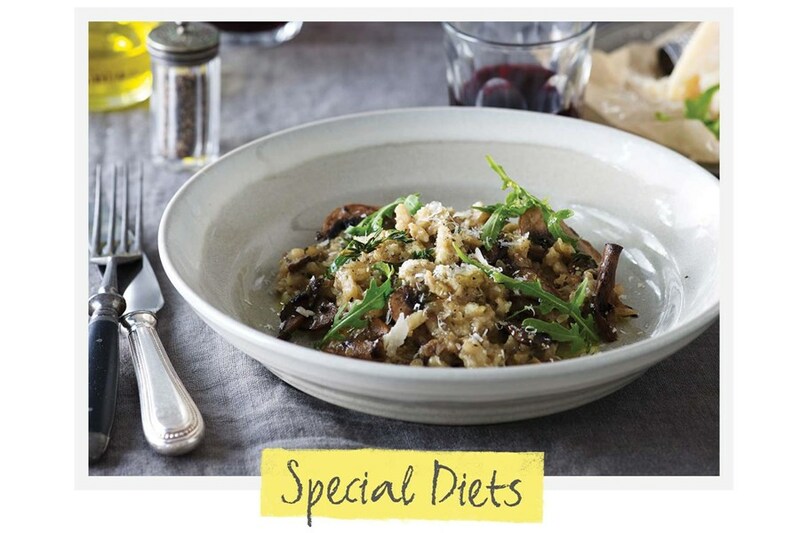 diet – assuming people add their own veg and carbs to a COOK main course. To offer lots of options for vegetarians and those with a gluten or dairy intolerance. To embrace the idea of occasional, indulgent treats for everyone. 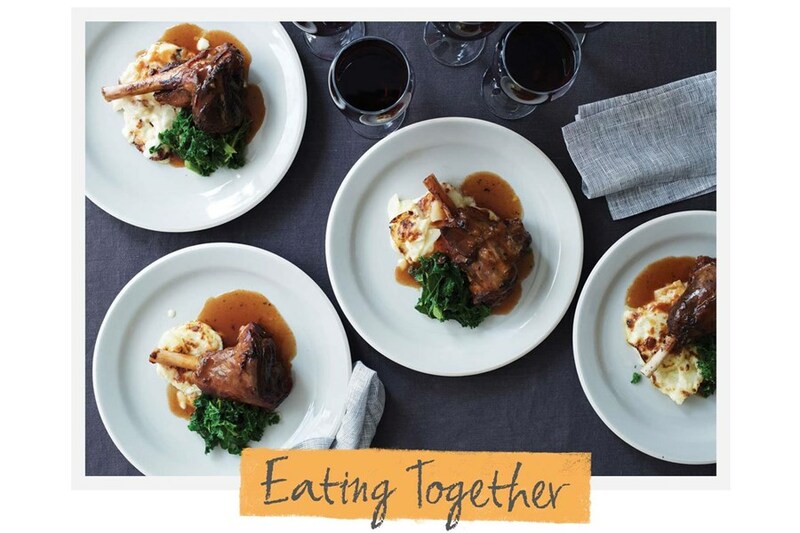 To encourage people to eat together because we know in our bones it’s good for both body and soul. Developing more new recipes that fit our “Love Eating Well” criteria, above. 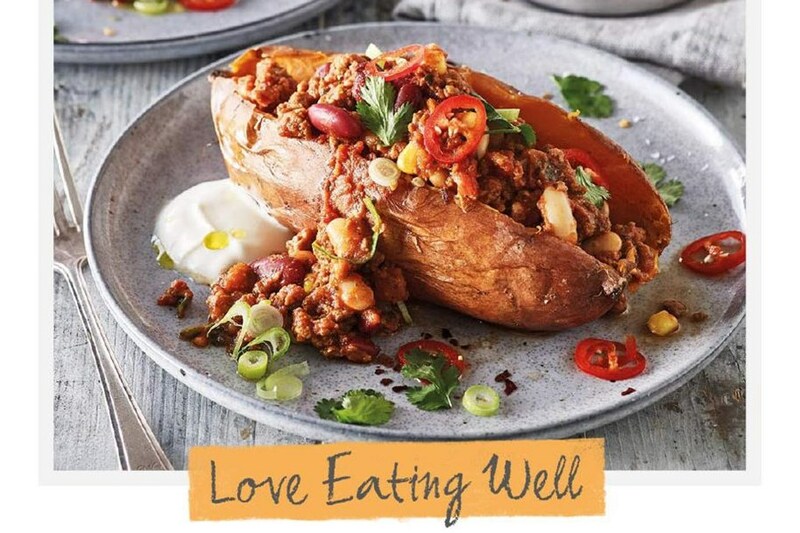 Working with a nutritionist, we’ve developed four complete weekly meal plans to help you fall in love with eating well. We’re also committed to promoting the idea of eating a bit less of the red stuff and more of the green.The amount of meat we eat is simply unsustainable and is impacting both our nation’s health and our planet (as meat production is carbon intensive).We are therefore committed to growing our range and sales of meat-free dishes and running a campaign to promote Meat Free May each year. 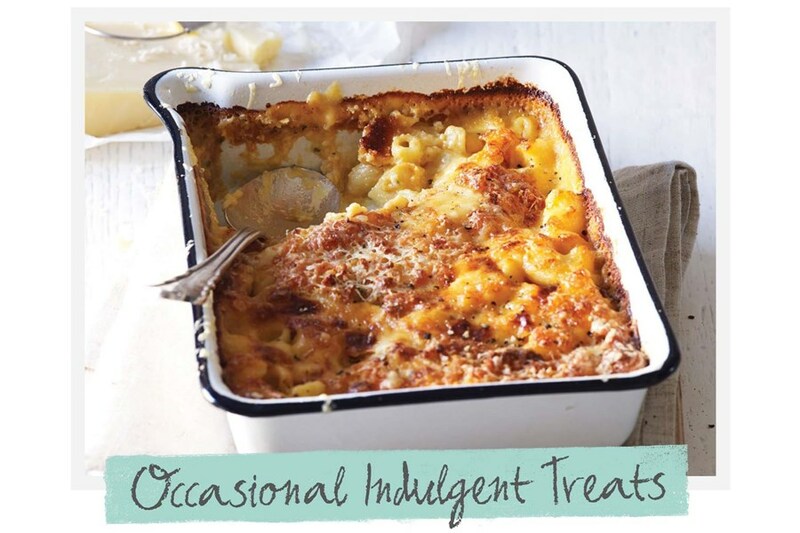 Our range of Pots for One all have fewer than 400 calories and less than a third of the recommended daily intake of salt, sugar, fat and saturated fat, which make them ideal for anyone counting calories.To see our range of Pots for One click here.